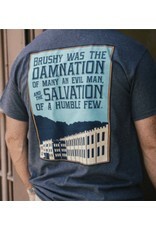 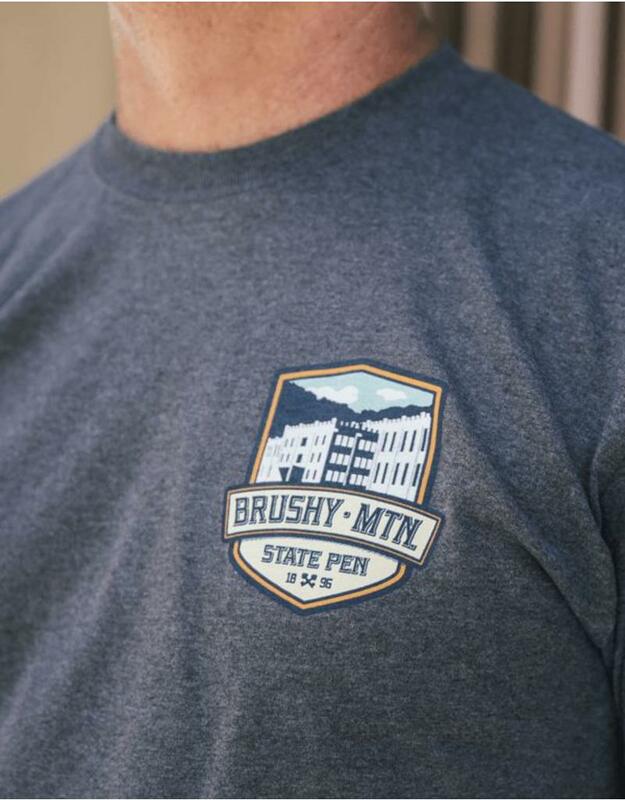 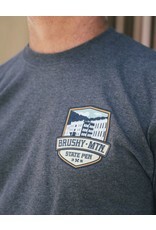 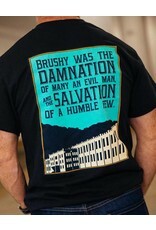 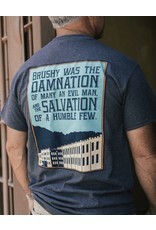 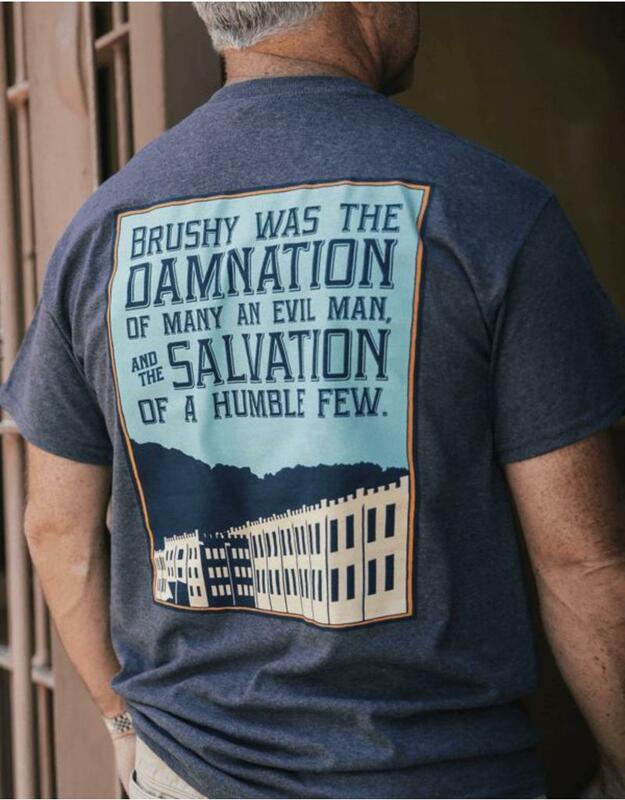 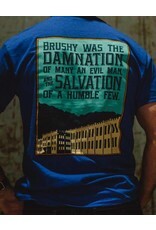 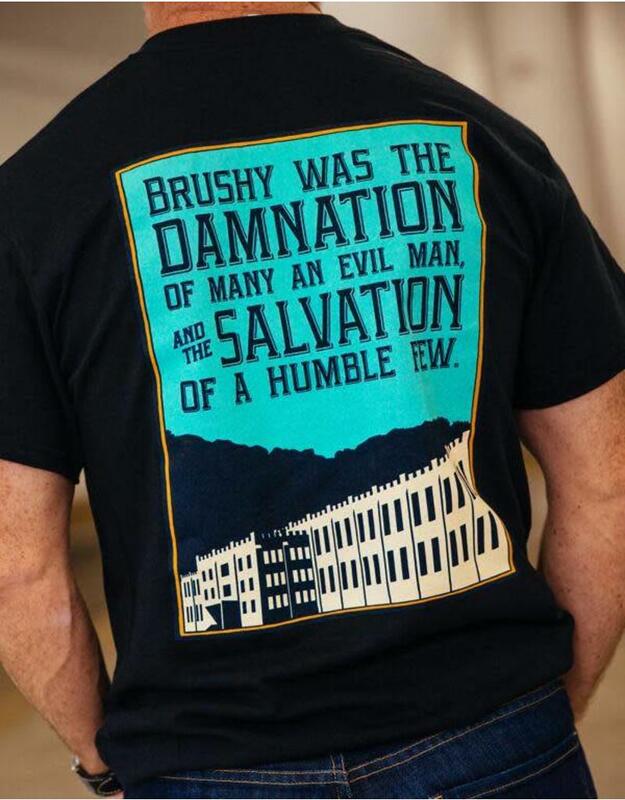 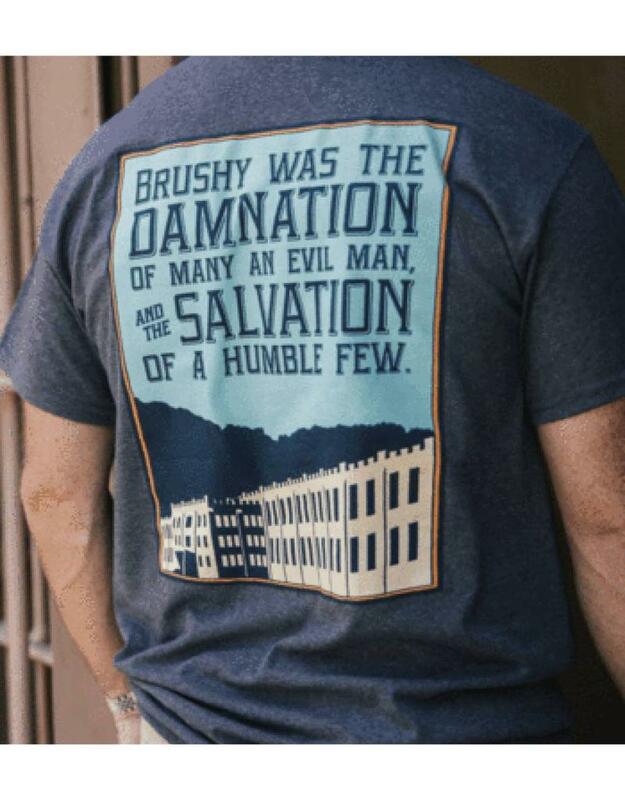 Brushy Mountain State Penitentiary was the damnation of many an evil man and the salvation of a humble few. 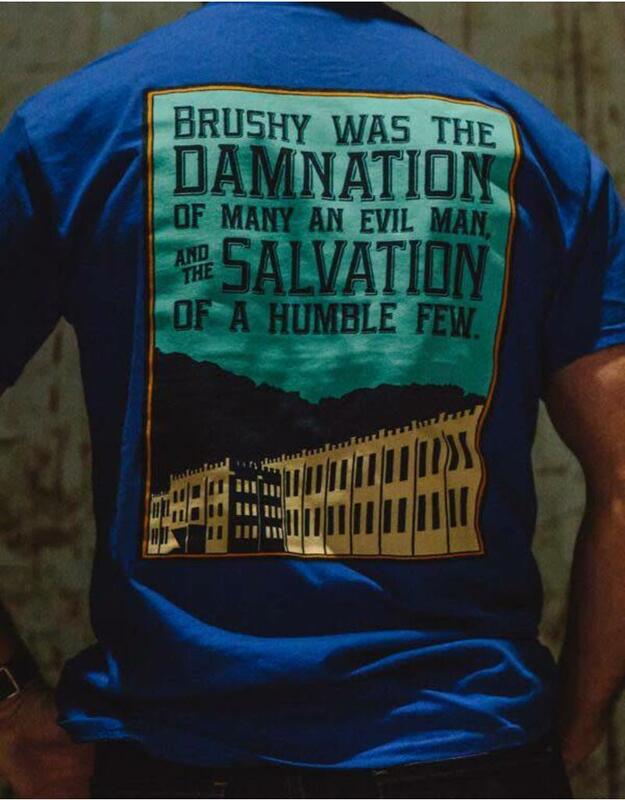 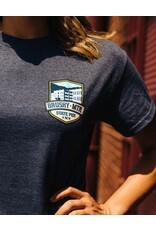 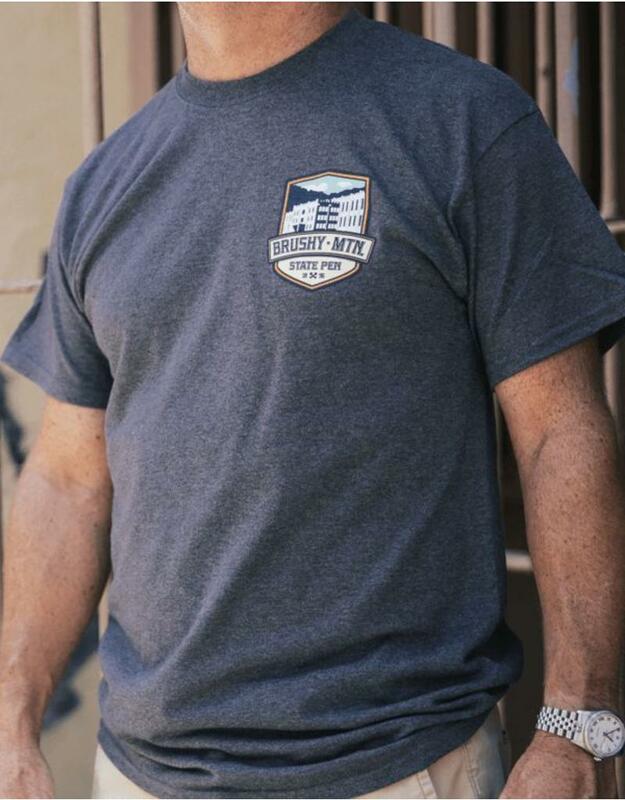 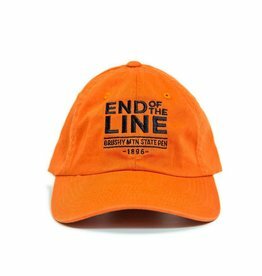 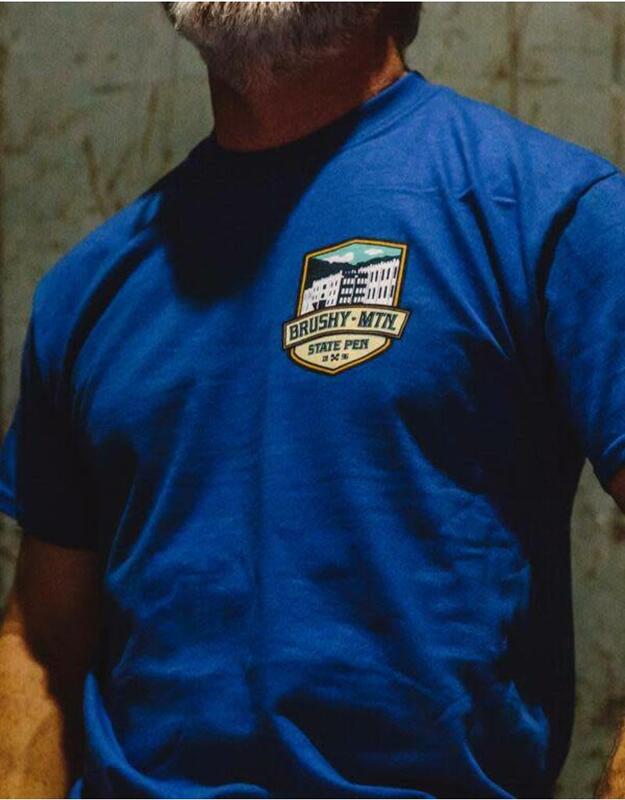 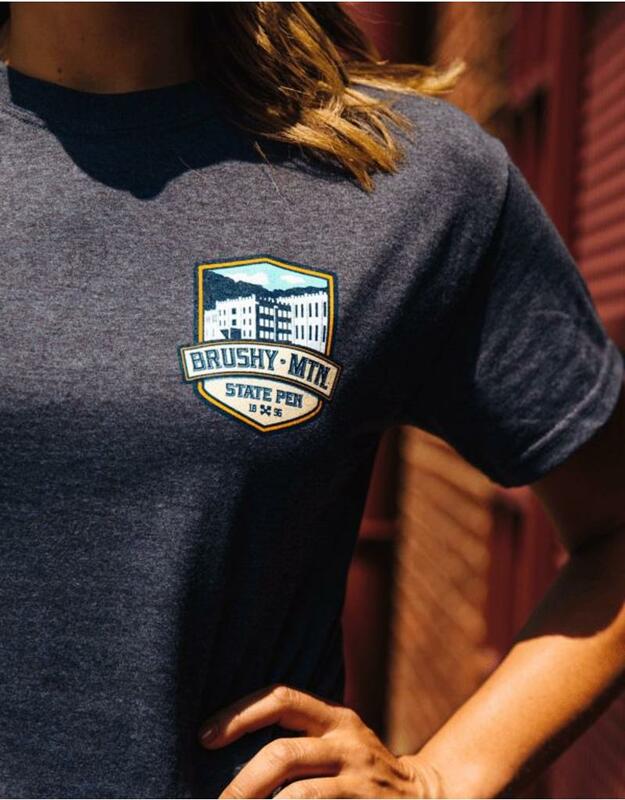 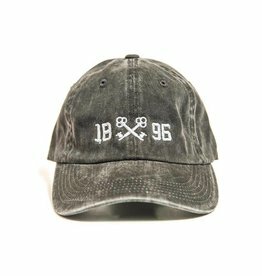 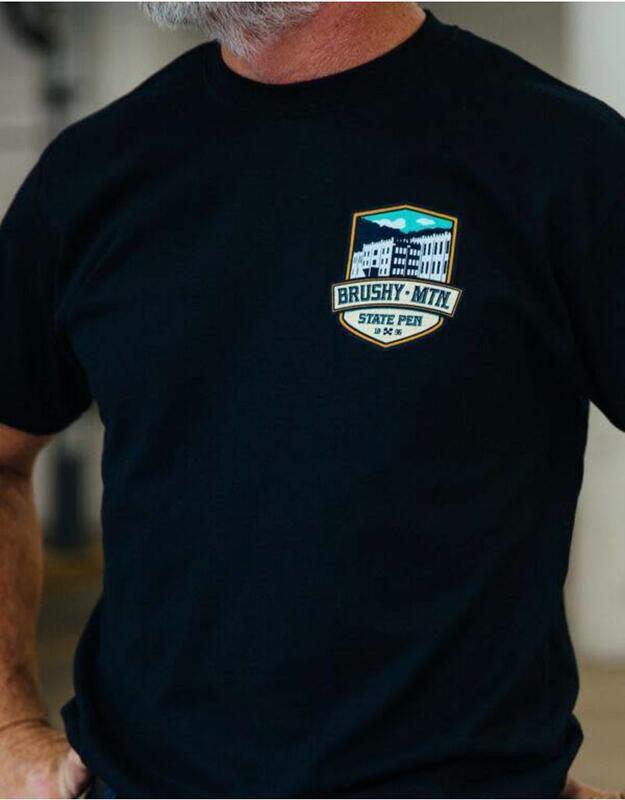 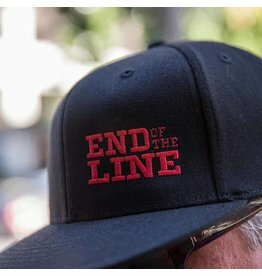 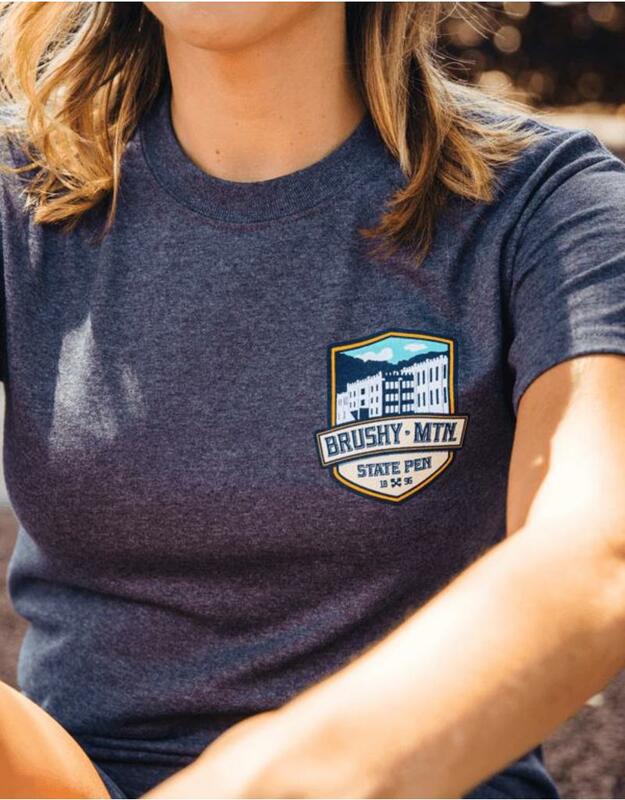 Whether you chose the black, grey or blue shirt everyone will know you know all about this beautiful place that tormented or saved thousands during its 113 years history. 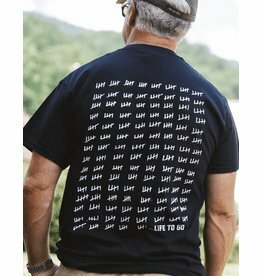 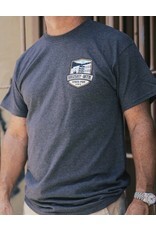 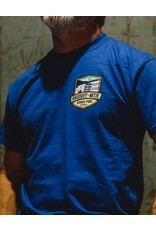 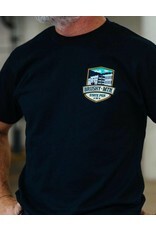 FIT: This shirt is a 50/50 (cotton/poly) and fits true to size. 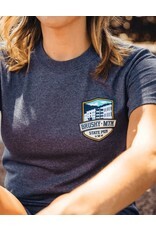 If you dry your t-shirts be sure to order one size larger.